Why just travel when you can travel smart? 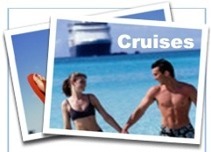 Book now and save up to 70% on COMPLETE Last Minute vacations with these Runaway Fun Travel Deals?. ** But hurry! These vacation packages sell out fast! **Last minute packages are offered 3 hours to 14 days in advance of specific departure date. Ah-h-h, bright lights, shows and plenty of action are the hallmarks of "The Strip." But, Las Vegas is a BIG place. So, what about the rest of the city? We decided to visit and compare some offstrip sites. Check out our Guide and read our Reviews. Say "Hawaii" to most mainlanders and they think "state" as in one locale. However, Hawaii is made up of various islands with varying climates and locales. Coming soon: our whirlwind trip to two islands. © 2006 - 2011 Runaway Holiday, LLC. All Rights Reserved. Welcome to RunawayHoliday.com your best source for hotel deals, last minute travel deals, cruises, airfare and other vacation and discount travel products. At Runaway Holiday, our goal is simple: to help you Reclaim Your Life. We do this by helping you find value-priced travel accommodations for airfare, hotels, motels, hostels, cruises, vacation packages, car rentals and area attraction tickets and, from time to time, by also providing you with information on stress-relief, food, exercise and other tips that might help you in your life. We are an Independent Agent under Florida Sellers of Travel Law and we are able to keep our costs down by automating much of the travel booking process. (For instance, airfare is booked strictly via the internet.) By keeping our overhead down and by reducing costs, we are able to pass those savings on to you. So, the next time you need to rent a car, or book a flight, reserve hotels, find a great last minute travel deal or even just to search for your dream cruise, please remember us. You'll be glad you did.